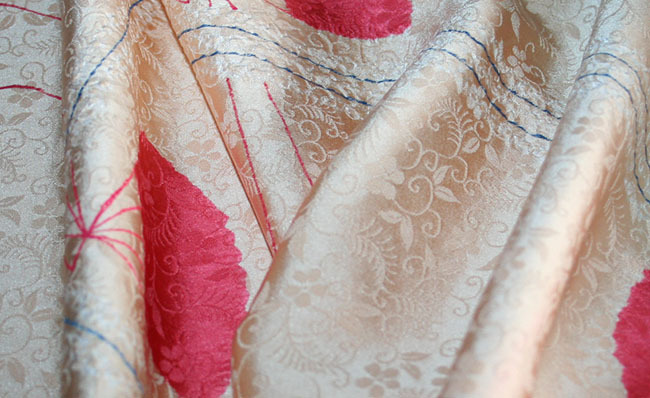 Kimoyes item: 20254 - Luxurious deep cream coloured glossy silk with hand shibori fan and line designs. Luxurious deep cream coloured glossy silk with hand shibori fan and line designs. Soft with lovely drape and all over woven floral design.